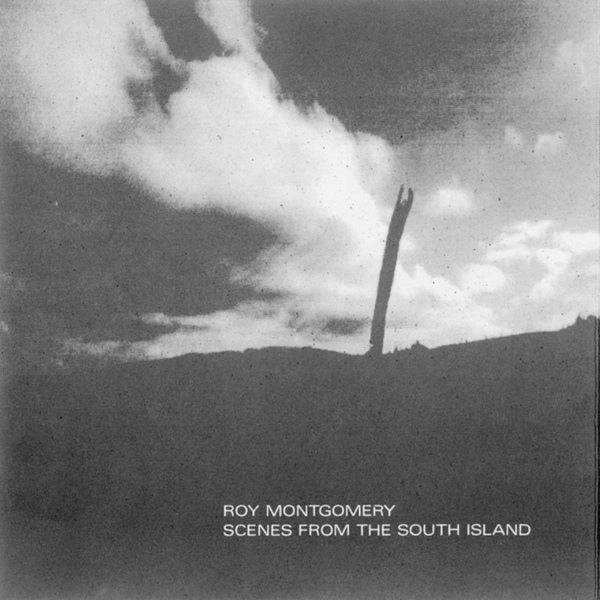 New Zealander Roy Montgomery is perhaps most renowned for his time in Pin Group, who released on the legendary Flying Nun Records in the early 1980s. For this album he's out on his own, holed up in a home studio conjuring guitar-based drone compositions and effects-coloured instrumentals. Montgomery's guitar has that "straight into the fourtrack" sound, all thin and wiry, in dire need of a preamp and perhaps a little air in the signal - there's really no substitute for micing up an amplifier cabinet - but this aesthetic brings to mind Durutti Column and the kind of shiny, metallic finish you'd associate with Vini Reilly's playing, which only adds to the charm of the album. Musically, this is all very often the cuff, sounding as if it was all created very quickly without too much pause for thought, and what the music lacks in structure and actual composition it makes up for in multi-layering and piles of effects pedals, resulting in wild fuzzscapes like 'The Road To Diamond Harbour', or more blssful, feathery pieces along the lines of 'Clear Night, Port Hills'.